When I was young, the only type of diaries we have available are those with dates. They come in all sizes ranging from pocket size, medium, A5, B5 and A4. However, these diaries or organizers as they would call it would be dated. As time goes by, I am noticing the increasing trend of a mixture of notebook format incorporated into a diary. Today, diaries come with monthly planners table, followed by content pages mostly consisting of notebook format where it does not contain specific dates. 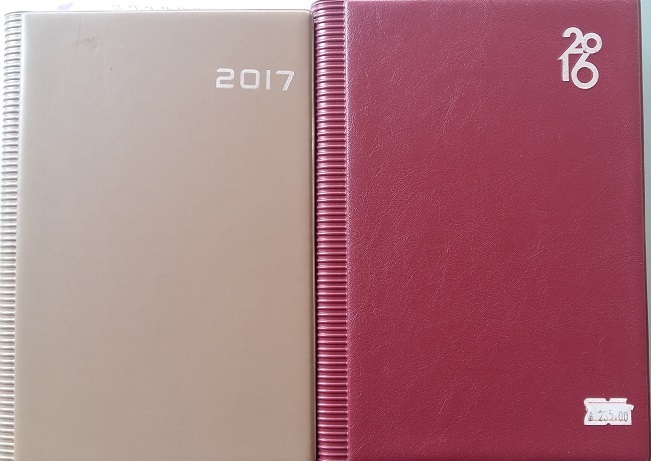 Should you get diaries with or without dates? 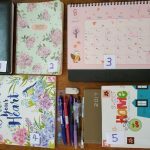 Whether your diary should carry a date or not pretty much depends on the purpose that you use your diary for, and the type of content that you need to put in it. 1. I have too much of to-do list that would never fit any weekly or monthly planner. 2. 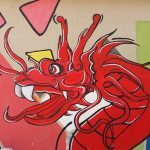 Some items have deadlines within next few days or following week. 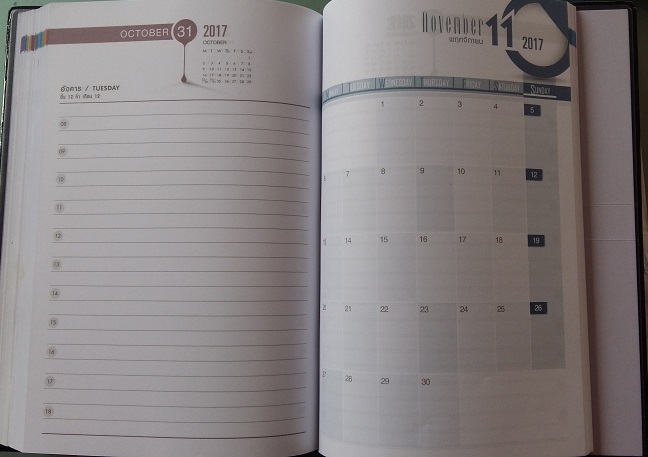 If I use an undated planner, it is very hard to mark down the deadline. Previously, I have tried to write down my tasks in an exercise book but find it to be disorganized because it is hard to assign a date when you are assigned with tasks with different deadlines. 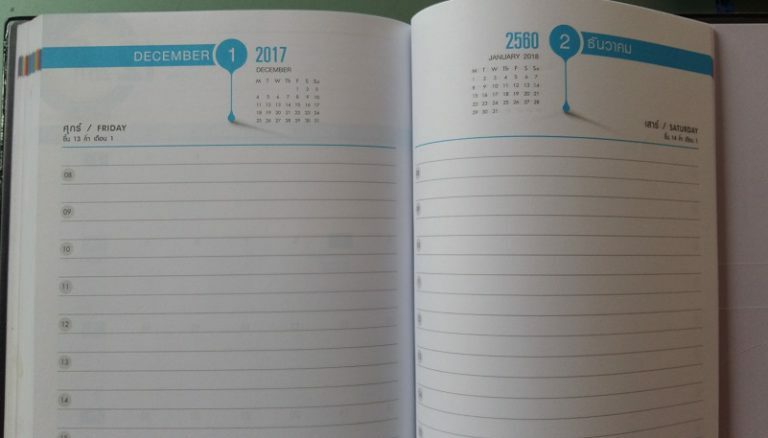 After a few times of overlooking some deadlines, I knew it was time to invest in a proper diary with daily dates. 3. In the same daily page, you can also jot down important pointers or interactions that you’d had with other colleagues pertaining details of certain projects. Should it come a time where they conveniently forget something they committed to you and questioned you when did they say that, you can refer back to your diary. Previously my office line has recording so should there be any disputes that arise between my words against the other person, it gets much easier to retrieve the conversation if I know the dates. 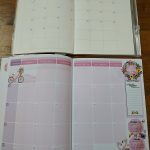 RELATED: What sort of monthly spread planner should you get? 4. It is a relief to know that almost everything is at the same place. Tasks to do, meetings to attend, emails to send out, who to call to check on certain things, etc. I can just do a brain dump by writing into the book to relief my poor overworked brain. Some of you might ask about electronic planners or planning tools that can be supported by ready application such as microsoft outlook. I have tried that but find the reminder pop ups- sometimes 4 appearing after a stressful meeting …..to be a little overwhelming and distracting. Also, sometimes when the PC or the laptop crashes, the work may not be recoverable and everything can be gone forever in the blink of an eye. Each when I arrive to work, first thing I would do (after putting down my bags, turn on my PC and making a cup of coffee) is to open my diary and take a look at the tasks of the day. I would then spend a few minutes quietly to strategize which tasks I would like to complete first. If I attend meetings and need to take notes, I also write down in my work diary. I write on empty slots around the date of my meeting (so that it is easy for me to find them later) and tend to occupy the Sat/Sun pages. Hence even the Sat/Sun pages which by default would be blank ended up being utilized. It is good to feel that most of the information you need is at one place. Now, with this organizing method, how do you know that you have completed your tasks? At the end of the day or in between during the day when you look through your planner to determine what has been done, just strike off those that have been completed. From time to time, I would reconcile and migrate unfinished tasks into a future date. Often I do it when I am called into meetings that are not relevant to what I need to do and basically if I do not have something to keep me occupied, I would really get restless. What I do is that I go through the previous dates and if the tasks are done…I will strike the whole page and then marked as “OK” and circle it so that it is obvious. Now there would be tasks that sometimes could not get completed- such as if you are doing the entire content review of your site or cleaning up your office manuals…that would take a long deadline. You can then move it to a future date, make a mark that you have moved it and then strike it off on that date. For example, you are going through in October the tasks for September and noticed that you have planned to go through some of the operating manuals in your office to update them. You did not have the time to do it, and your boss is not saying it must be done ASAP…. hence you may move it to another future date that you are more comfortable with, say December where it is a quiet month for you as most people are away on holidays. Find a date you are comfortable and put it there. Even if you forget, the tasks would not escape you in your next review. I have adopted this planning method for about 2 years and find that it worked best for me. I do my best not to take work home so at the end of each day, I would place my work diary in my drawer and lock it. However, if I am going on long holidays or there are some urgent tasks that need to be completed… only then I will take it home but most of the time, I ended up not opening it. For situation such as above, I have found that an ordinary non dated notebook to suffice.